These drugs are taken as pills (tablets) and pharmacies carry formulations in different dosages. The dosage is in the milligram level - roughly 10 mg to 100 mg per day, depending on the type of statin and the needs of the patient. Patients who begin a statin drug regimen are generally prescribed the low doses, although increased dosages may be given to those who have suffered a heart attack. Different strengths may be given to those needing to lower their LDL cholesterol levels by less than 30 percent as compared to those who need to lower their LDL levels by 30 percent or more. Statins are generally taken as a single dose taken in the evening. The time of day the drugs are taken is important because the liver makes more cholesterol during the night. Occasionally, pills may be split (e.g., a 40 mg. pill into two 20 mg. pills) in order save money, but a doctor should always be consulted before doing this. Research into a once-every-two-days schedule shows that the dosage must be double to get the same effect as one-per-day pills. Because it's easier for patients to remember a once-per-day regimen, this is how most doctors recommend people take the medicine. Statins start working right away and produce measurable reductions in cholesterol levels in a few weeks. They don’t stop heart attacks or strokes in the first few weeks, but that is to be expected. They are taken for the long run. Maximum effects are reached in four to eight weeks as far as blood plasma levels of lipids, longer for tissue levels of lipids. Once you begin taking statins, you can typically expect to remain on them indefinitely unless there is a significant reduction in other risk factors, such as the loss of a large amount of weight or the cessation of smoking. If you are on a statin regimen and then stop, expect your cholesterol level to return to where it was at prior to the statin treatment. In addition to the level of cholesterol in the blood, there are a number of other factors that doctors take into consideration before prescribing statin drugs. Family history, lifestyle, blood pressure, age, general health, presence of diabetes, weight and smoking habits all can have dramatic effects on cholesterol levels. Patients with a history of heart disease or a heart attack will likely be prescribed statin drugs in larger doses than other patients with the same cholesterol level. Like most drugs, the higher the dosage of statins, the greater the benefits (and side effects). Medical community guidelines and doctor discretion establish the dosage for each patient. The trade-off between risks and benefits is what sets the dosage. A rule-of-thumb developed years ago is the "rule of 7" - for every doubling in dosage results in a 7% reduction in serum LDL levels. Statins are taken indefinitely. Your doctor should monitor your general health and lipid profile over time and change your regimen as appropriate. The idea is that statins are maintenance medicine for the long term, not for a short-term fix. Concerns about long-term (e.g. decades) use have not resulted in systematic changes to treatment guidelines. Your doctor may also suggest exercise or a diet low in fats, sugars and/or cholesterol along with or in lieu of a statin drug regimen. Patients often forget to take their statins. People with cardiovascular problems who know they have the problems tend to be better at taking the medicine regularly than people who are taking them strictly for prevention. Every decent-sized pharmacy carries the most popular statins because they are so widely used. For cost reasons, some people use internet or mail-order pharmacies. although this practice has declined since the most popular statin drugs became available in generic form. Some doctors, faced with patient complaints about side effects, advise taking the drug every other day or even only once a week. Even if this regimen does not have a lot of effect on side effects it might get the patients to push through an initial period of discomfort. There is a chance that in the future statins will be available over-the-counter. Some people feel this will increase usage and make patients more likely to stay on the pills. Ask your doctor about what to do if you miss a pill. Usually the standard advice for daily prescription drugs is that if you miss a day, don't try to double up the next day. Just go forward with your normal schedule and take the same dosage as normal the next day. Your doctor will probably tell you the same thing for statins. 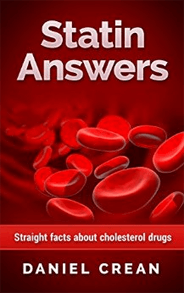 Manufacturers typically recommend taking statins at night, reasoning that the body makes cholesterol during periods of starvation (overnight). Studies mentioned in the British journal Bandolier show it makes little difference when the statin is taken. when the statin is taken. It is hard to significantly harm yourself from consuming too many statins. All drugs can be dangerous when consumed in high dosages, but statins are quite safe. If for some reason you do swallow a large number of pills, call your local poison control service. In the United States, call 1-800-222-1222. Like all prescription medications, statins can be taken only with a doctor's approval and the patient should be under a doctor's supervision. Be sure your doctor knows all medicines you take, including ones prescribed by other physicians and over-the-counter drugs. The nature and dosage of your medications may affect what statin the doctor prescribes, at what level and dosage, or even if a statin is given at all. Digitalis or Digoxin (brand name Lanoxin) - the widely used heart medication. Use with atorvastatin, fluvastatin, or simvastatin may increase blood levels of digoxin beyond the target level. Fibrates - often given to people with high triglycerides, another lipid disorder. Also called fibric acid derivatives and sold as Lopid, TriCor, and Atromid. Niacin - a vitamin used to fight cholesterol problems. However, there are indications that use with a statin can increase the chances of rhabdomyolysis and kidney problems. Can be prescription or over-the-counter. Steroids, including synthetic testosterone and birth control pills. Some antibiotics (including erythromycin) and antiviral protease inhibitors (including saquinavir (Invirase), ritonavir (Norvir), indinavir (Crixivan), nelfinavir (Viracept), and amprenavir (Agenerase)). Liver disease - a blood test to check for liver function is a routine part of statin medication care. Transaminase - a class of enzyme in the liver - is monitored in patients on statins. Elevated transaminase levels in the blood is a sign of possible liver damage.